When you envision a present being presented to you, it’s usually in a box with shiny wrapping paper and a beautiful big bow! You don’t usually imagine someone offering you a dental filling or a crown. 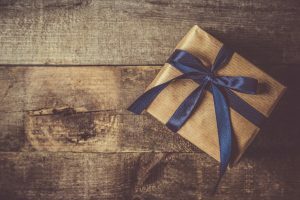 However, our Ankeny, IA team would love to remind you today that though you may not usually think of restorative care as a gift, it’s actually an area of care that can be just that (and in so many ways). Let’s talk about some serious ways being able to repair your smile contributes to your life (and the life of your smile) for the better! We mean this in two ways: When you rely on restorative care, you have a smile that includes all of its teeth, making it a full smile. We also mean that you have all of your dental tissue that you need, which means thanks to the repairs you can receive from our team, you have complete, healthy, intact teeth! Don’t overlook the fact that a full smile is absolutely key to maintaining your oral health. Without it, you may deal with bite and balance problems (which can cause TMJ disorder or bruxism), difficulty eating, trouble speaking, challenging dental hygiene (and a greater chance of oral disease), and more! When any part of your smile is not at its best, this immediately causes your oral health to take a hit. All parts of your grin must be in good condition in order for your status of “excellent smile health” to remain. So, why put the entirety of your smile in jeopardy? We encourage you to enjoy the benefits of healthy teeth, gums, and more by agreeing to quickly treat issues from decay to infection to cracks and more, so you stay ahead of problems and keep your smile on track. We are well aware that the way your smile looks is important to you. It is important to our team, too! While you can make esthetic changes at will with cosmetic care, you may wonder: What about when your oral health is at risk? Will the final results look good once you receive restorative care? The answer is a simple “yes.” Restorations allow you not only to regain the health, structure, and stability your smile once experienced but we also use lifelike materials and techniques to ensure your smile looks like a healthy smile that is all your own, as well! When your smile is not in the best shape and it is negatively impacting your oral health, do not hesitate to follow through on receiving the restorative dental care you require. Instead, contact us soon! Find out more by scheduling a visit with your Ankeny, IA dentist today! Contact Peddicord Family Dentistry to set up an appointment by calling 515-963-3339.